Below is the presentation that our group did for the Cover Art that we created for Creative Solutions and Creative Enterprise modules. I originally made it on Keynote but converted it to a PDF so that it can be accessed easier. We didn’t really plan what exactly we were going to say, we all just checked that the slides contained all the necessary information and then tried to split the number of slides so that there was an equal amount per person. As we all knew what the process of creating the Cover Art had involved, we felt able to simply say from memory our thoughts and reasoning at each stage and if anyone got stuck or possibly forgot anything then we could step in to help. 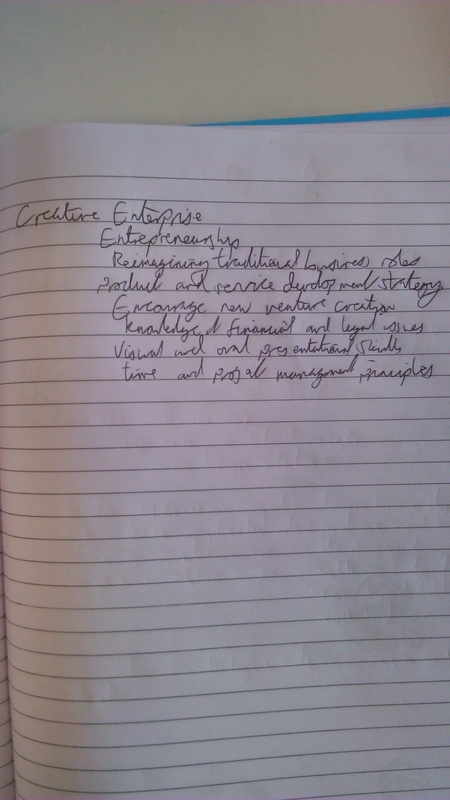 Below is our initial thought processes when we were given the task of designing cover art for the “Creative Solutions” and “Creative Enterprise” modules. 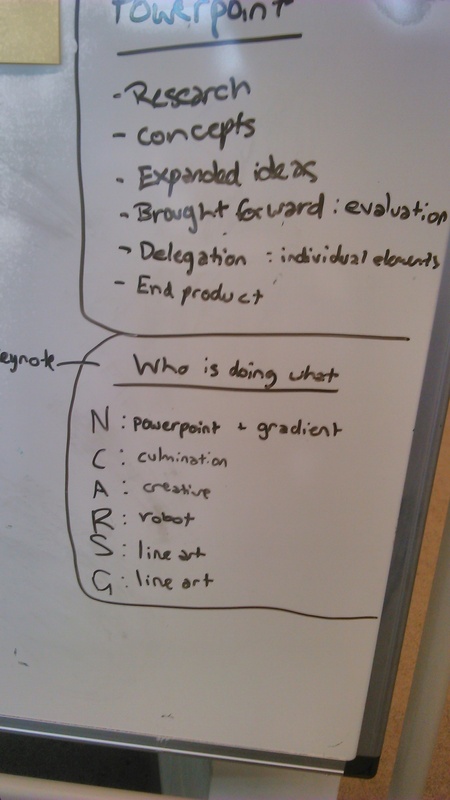 The image above was the first whiteboard of ideas/thoughts we had regarding the task. 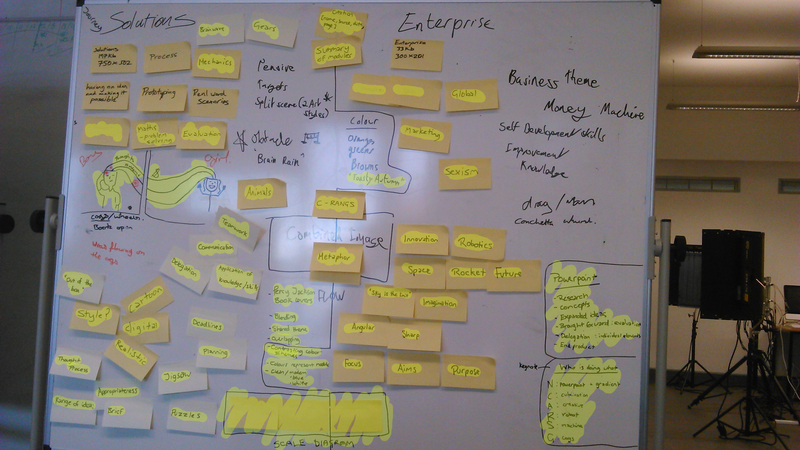 (My work is coloured in yellow). 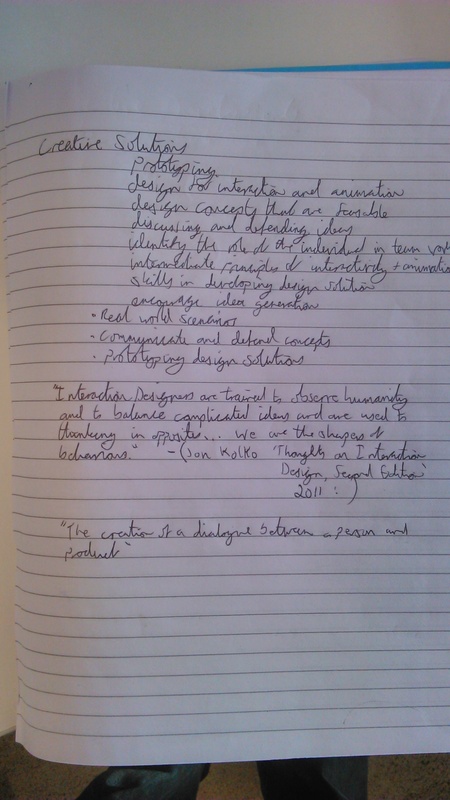 We also planned out the dimensions that we had to work within and how to try and have everyone’s contribution noticed. To either side is the research that Siobhan did, to clarify what each module actually entailed. We thought, that with a better understanding of the modules, we would then be able to illustrate the cover art to give a good idea to whomever was viewing the images what the module involved before viewing the content inside. We used some word association to play around with some concepts that we could use for the cover arts. 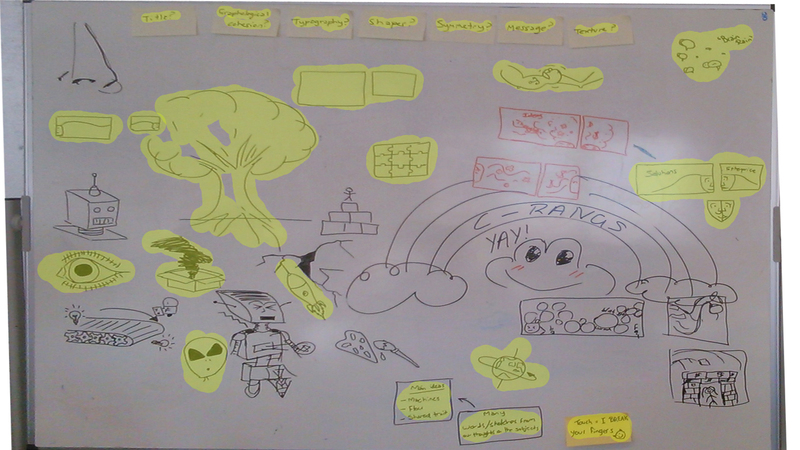 To the right is our other board where we doodled some of our thoughts, and also wound up with a rainbow frog, with no real idea why- bu it looked friendly! We also came up with our team name “CRANGS” using the initial of everyone’s name. The photograph to the left shows how we broke up each task so that everyone had something to contribute, people understood what they were doing and to ensure the task was completed within the deadline. 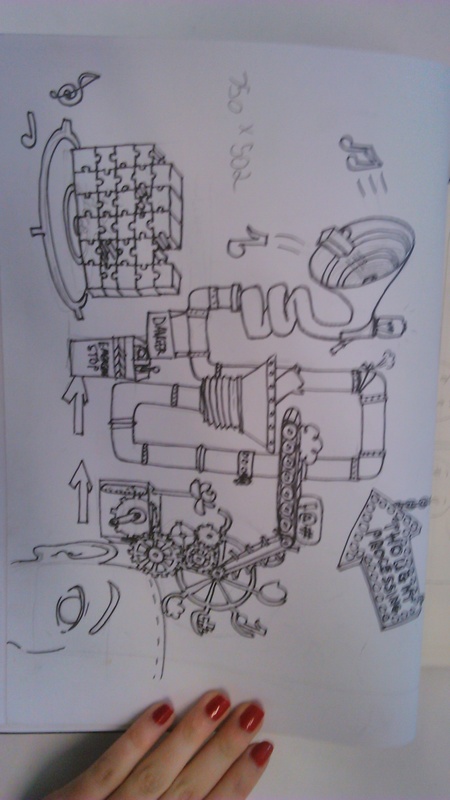 The photograph to the right is the drawing which Siobhan did for the machine to illustrate processing, Greta did the gears and some of the machinery, Ryan drew the robot, Aidan and Courtney coloured the two images in whilst I put in the gradient and created the powerpoint.